Yay for a surprise special! Thanks for taking the time to still pop in and have a bit of comic talk once in a while, Hank. 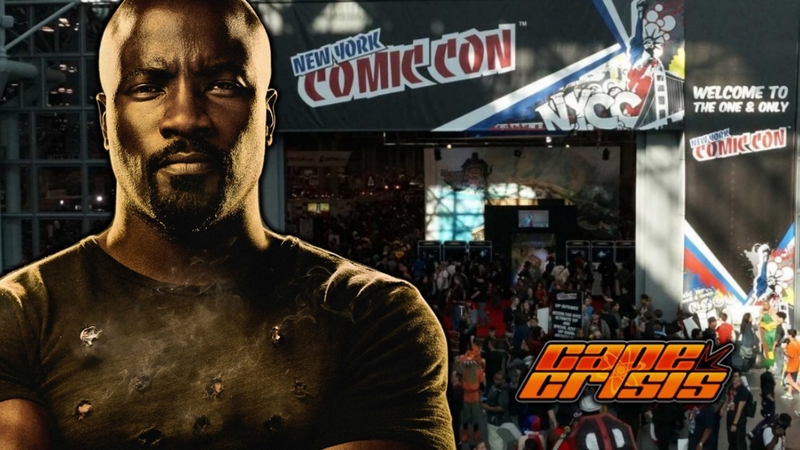 I’m curious to see what you guys thought of Luke Cage. I liked the first six episodes, but after that it really went downhill for me and I was left pretty disappointed for the first time from a Marvel-Netflix show. Thanks for the episode Henry! Missed Caped Crisis! Yay! CC, Luke C., NYCC and Go Go Curry! It all rhymes, cee? Yes Chris, I did indeed win a PS4 from the $5 Taco Bell Box promo. What’s even more amazing is getting a 27″ Asus Monitor for $12 through a Walmart glitch a month later! So I technically “bought into” this current gen for less than $20. Whoo! Love the special episodes! Yes, new Cape Crisis. I’ve been wondering what you thought. I’m in agreement for the most part although I liked it more than you it seems. Funny that it still gets a thumbs up despite the pummeling you gave but valid still. Better than Daredevil season 2, which was still fun. And yes Hank I agree NO MORE GUN SHOT SCENES! Regarding “hallway fights”, no show or film is going to top Oldboy.